At Shannon Family Automotive, your trusted Folsom CA auto repair team, we will discuss your priorities with you and create a maintenance plan over the course of a year to best fit your needs. Every job performed by Shannon Family Automotive is backed by a 24 month/ 24,000 mile guarantee on all parts and labor. Plus, we exclusively perform Honda, Acura, Toyota, Lexus auto service and repair. We can do everything the dealer can except items under warranty. Today we’re talking about keeping up with preventative auto maintenance. Not only does it extend the life of your car, but it also improves your fuel efficiency while increasing the longevity of your vehicle. 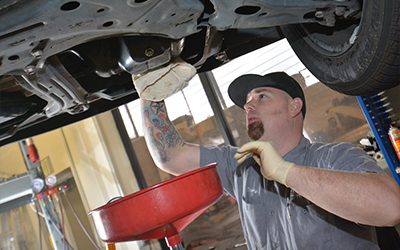 So why should you schedule regular maintenance with your trusted Folsom CA auto repair team? Consider the simple fact that many serious car issues, including transmission problems and engine failure, can be prevented. We suggest reading your car’s owner’s manual or visiting the auto repair shop at Shannon Family Automotive to find out exactly which preventative maintenance services your vehicle needs and how often to get them done. Even getting basic services such as an oil change and fluid inspection can extend the life of your vehicle and greatly reduce your chances of having to deal with car troubles. In addition to preventing serious car issues, you’ll also improve your fuel mileage by performing preventative maintenance on your car. Neglecting to change the motor oil and engine air filters on schedule will reduce your vehicle’s gas mileage, in addition to causing unnecessary wear and tear on your engine. Save money and stay safe with Shannon Family Automotive’s preventative maintenance today!